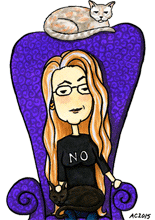 I still have a bunch in my pack of Artist Trading Cards, so I decided to pull one out and just doodle a bit. 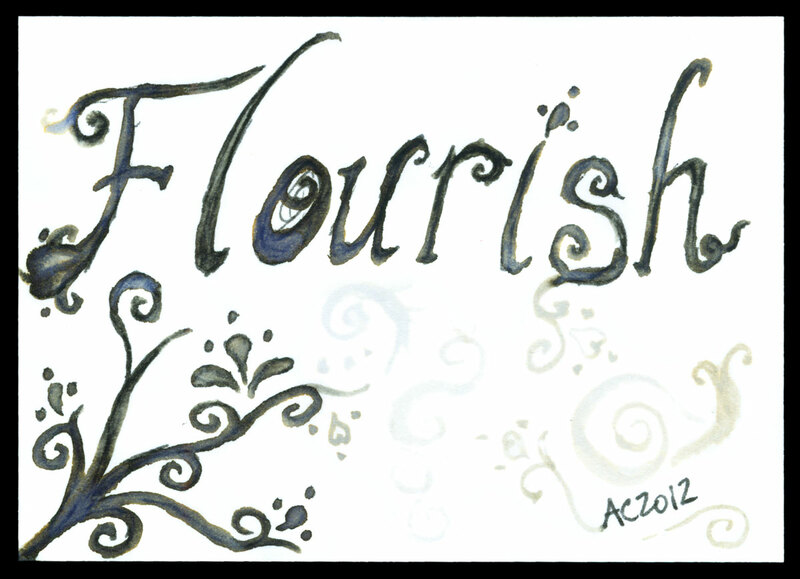 Once I’d drawn in the little vine pattern in the corner, the word “flourish” sprung to mind so I went ahead and wrote it in messy calligraphy. Then I got out a brush and, using water and the ink already on the card, I smoothed out the shapes, and even ‘painted’ some new ones. 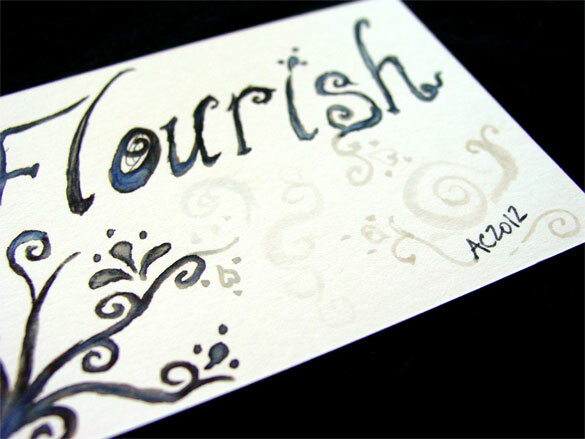 The whole thing has a feel of decorative whimsy, which goes quite well with the idea of adding flourishes, and also of flourishing in a more personal sense, at least for me. A life without whimsy or decoration would be awfully boring, after all. Flourish, 3.5″x2.5″ ink on paper, nfs (but available for trading). We actually had some sunshine this morning, so I took a photo and got a slightly better view of the very pale details in the middle of the card.